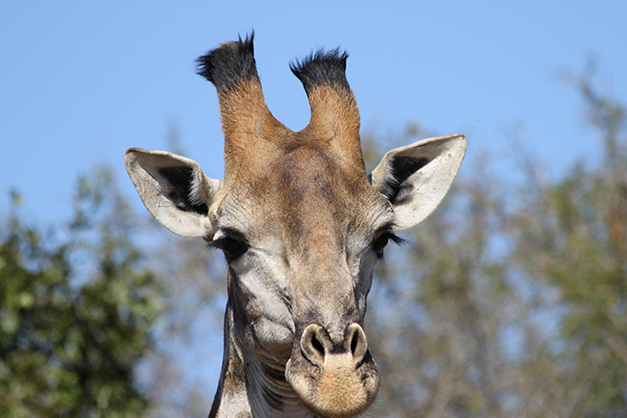 Giraffes have two hair-covered horns called ossicones. Like a human fingerprint, each giraffe’s coat is unique. 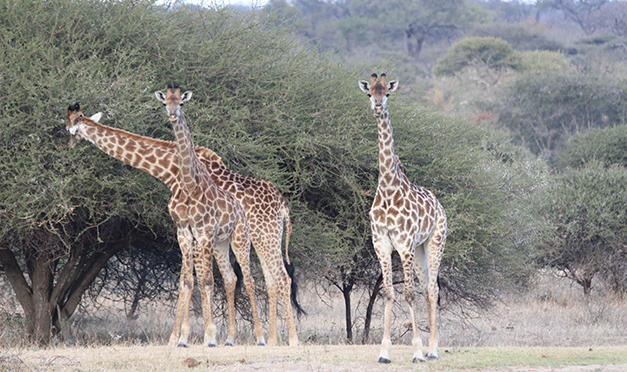 Giraffes are collectively known as a ‘journey’, ‘tower’, ‘corps’ or ‘herd’ of giraffes. Giraffes are herbivores – they eat leaves, buds and branches from mimosa and acacia trees. Their height helps them to reach food well above where other animals are able to reach. Giraffes eat more than 34 kilograms of food each day. Because they get just a few leaves in every bite, they spend most of their day eating. 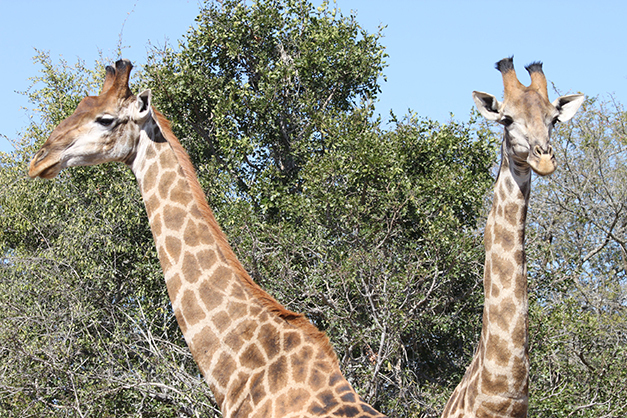 Giraffes have a tongue that is 46 centimetres long and can reach around the thorns. Their thick, sticky saliva coats any thorns they might swallow. 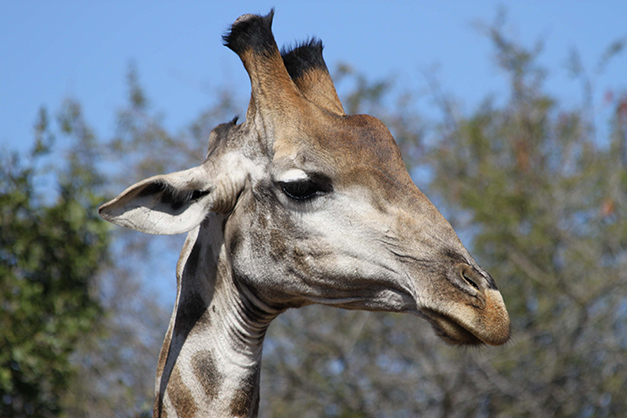 The dark blue-gray color of a giraffe’s tongue helps protect it from sunburn while the giraffe is reaching for tree leaves.